We have always heard that Books are one’s best friend but I have never felt that connect. I would never argue if someone said they were best teachers because I have always felt that they are one way communication. Friendship for me is very different where the person in front is even ready to listen to what I have to say, especially when blabbering is one of my key defining feature. And so I have hardly been into reading apart from Enid Blyton and probably some Mills & Boons (what could I say). So, I gradually drifted to find my real friend (of course to corollary of a book) – Blog. See how different a blog is to a book – while it is readily available to read along with inputs from its readers, it is ever ready to take in whatever you want to express. It was this which led me to begin my blog in 2009 – Expressions by KT. What started as an initiative in adrenaline rush on clearing my CAT – as MBAs are supposed to be sophisticated bloggers right – is now one of my major interest. It’s been five years of regular expressing, blabbering, globing and interacting and this blog is definitely a part of my life today. Over last days, a few young enthusiasts have reached out to me to guide them on how to start blogging. So I decided to put down some thoughts on how to go about starting a blog – making a great friend. 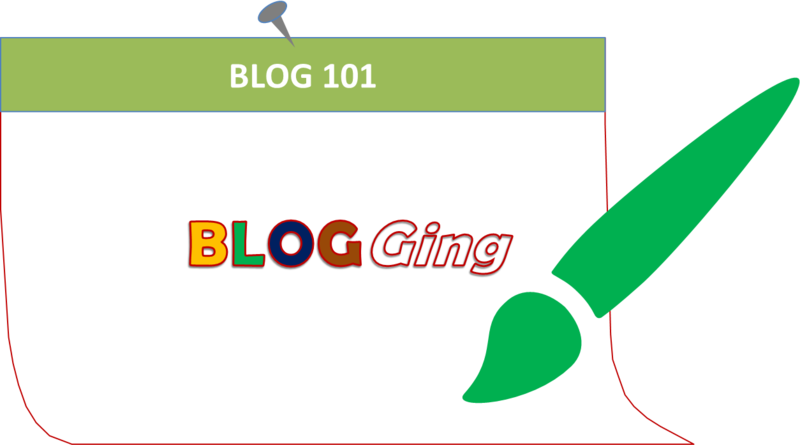 Now the most important thing for beginning this endeavor is to start a blog as soon as you think about blogging so that you have a ready platform whenever you are in mood to write. Here is how to go for it. First thing is to choose your preferred blogging platform as there are a lot of them in market each promoting itself with their own USPs. However, I would say that there are two major ones that one should consider – Wordpress and Blogger. Wordpress is a highly customizable and flexible platform and offers best of the templates for its users. Moreover, it also offers a number of off the shelf advanced widgets providing an option to the user to expand features on their blogs. Also, it is more of an open source platform allowing you to establish a blog using their free software. One issue is the cost involved as most features which allow you options to customize are paid. On the other hand Blogger is an environment which is simple, easy to use and intuitive. It provides a starter in blogging only what one needs. Moreover, now, Blogger allows customization of its themes, allows third party css templates and offers various widgets. When you blog grows and you wish to set up your own domain, you can easily and freely use it with Blogger platform (Wordpress charges for it as of now). In short both are great environment and those who prefer simplicity should go for Blogger and the professionals could choose Wordpress. Your humble author though personally prefers Blogger. One of the first thing that I looked at as a blogger was how my blog looked. I tried almost all the default templates on the platform and kept changing it almost every day. One day while one appealed to me, it turned as a boring look the other day. However, I soon realized that though looks matters, it would have limited impact on leadership. At the end of the day, a blog needs good content to engage the visitors and hence more time needs to be devoted to it. I would suggest that it is fine that you go around trying various themes for a couple of days and then fix your mind on one which you would keep for some time. To start with choose a simple theme (from one of the default ones offered by the platform you choose) which allows reader to easily navigate and read the content. You can always go for more complex templates later in your journey. Now that you have a blog platform ready, all you need to do is what you wanted to do – writing. Blog is less about platform and more about the content and hence one needs to start putting it up. When I started blogging, all the guidance I got was to set my mind on the area of specialization on which I would write, decide my audience and write well-setup articles. Me, who was purely an amateur at writing, was perplexed at the complexities and finally decided to give up on guidance and started writing whatever I felt and left it to audience to find what suited them. I am not saying that these do not matter – they all do – but when you start, it is highly likely that you are not sure about these intricacies and focusing a lot on them may deter you from taking off. So, my suggestion is to start writing whatever you feel like – your everyday experiences, travelogues, views on anything you follow, hobbies, poems, stories, reviews or simply software codes or science projects. The important thing is to develop an interest in writing and flair for expressing. You should definitely assess what you are writing when you 10-15 posts old with your blog and gradually start thinking about topics you would focus on. As a thumb rule by the time you have 20-25 posts, you should have 2-3 topics as your areas of interest from blogs perspective. So here is 1-2-3 of starting a blog which may help you initiating this endeavor. It is a long journey –almost never-ending if you ask me - and this posts only deals with achieving the first milestone of the journey. I would try to bring out my experience in this journey and lessons for bloggers who would pass through similar phases in future. So stay tuned in and subscribe to the mail-feed to receive all the awesome content right in your email. Do not forget to like the Facebook page to connect on social media.